People with health conditions or disabilities may struggle to make improvements to their lives because they don’t know how to find the appropriate help. An event this month offers people a range of support designed to improve different aspects of their lives. 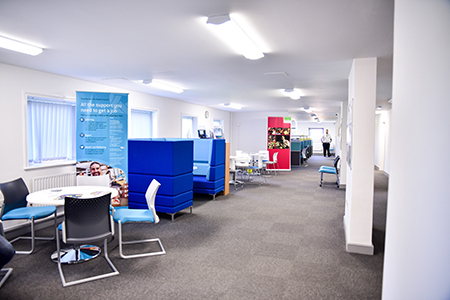 The Jobcentre, based in the Public Services Hub in Winsford’s Wyvern House, hosts the Health and Disability Support Event on 12 September to help disabled people and those with physical and mental health conditions change their lives. The event is open to residents from 10am-noon where experts from different organisations which support people with health conditions and disabilities will be present in the same place at the same time, such as Mid Cheshire Mind, the National Autistic Society and Carers Trust For All. Councillor Louise Gittins, Cabinet Member for Communities and Wellbeing, said: “Advice on accessing the support which is available in the community will be offered to those who attend this important event. “You will have the support of experts to help you make changes at your own pace, develop skills, increase your confidence, overcome obstacles, improve your wellbeing and gain employment. For more information, contact Pat or Jenny at Winsford Jobcentre Plus or the Work Zone on 01606 288 901.